dCS has a long and prestigious history in designing and manufacturing the very best digital music sources. Join the Loud & Clear team with special guests from dCS from 5pm on Thursday 18th April in the shop to put these two exceptional products through their paces. And as if that wasn’t enough, we’ll have the Gryphon Diablo 120 integrated amplifier and Focal Sopra No.2s completing the system. dCS Bartók DAC brings together dCS’s past, present and future. Designed for flexibility and ease of use without compromise, this single-box digital music player features the legendary dCS Ring DAC™ and signal processing platform, plus a custom high performance UPnP music streamer. 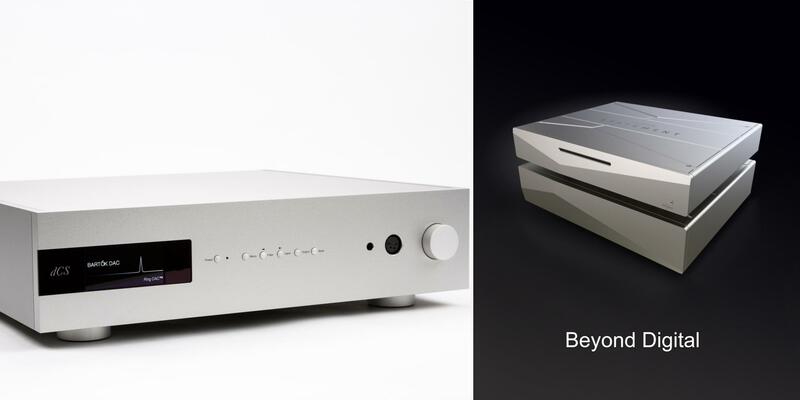 It is first and foremost a state of the art network streaming DAC that uses technology developed for the dCS Rossini range. The unique headphone amplifier (optional) brings the extraordinary dCS digital experience to both headphone and stereo listeners. dCS (Data Conversion Systems) is renowned for it’s ‘upsampling’ – a separate digital-to-digital conversion process which transforms low-resolution data to a higher resolution and higher sample rate data stream to present a high-resolution DAC with better data, thus making the analogue conversion easier by taking over part of the processing load. The DAC section is equipped with independent balanced and unbalanced line outputs that can drive power amplifiers directly, avoiding the need for a separate pre-amplifier. The Headphone DAC features a custom designed headphone amplifier that works extremely well with both high and low impedance headphones in balanced or unbalanced formats. All of the outputs can be set to one of 4 maximum levels to enhance system compatibility. The network interface currently runs at up to 24-bit, 384kS/s and DSD128, supporting all major lossless codecs, plus DSD in DoP format and native DSD. Bartók also supports the simple yet highly effective dCS ‘auto clocking’ architecture as used in Vivaldi, which minimises jitter and improves sound quality significantly. Designed and made in Great Britain to the highest standards, Bartók uses aerospace-grade machined aluminium with internal acoustic damping panels to reduce sound-degrading mechanical vibration and magnetic effects. Multi-stage power regulation is employed, with twin mains transformers to isolate the DAC circuitry from the headphone amplifier.